Microsoft’s Surface Pro is generally regarded as the best Surface yet, which makes plenty of sense if you have enough faith in Microsoft for even the software giant to not take the product backwards. Unfortunately though, even with the improvements that have gone into the Surface Pro 3, some users are still finding that it doesn’t quite live up to their expectations on a few different levels, with the stylus being one of the issues they’re complaining about. 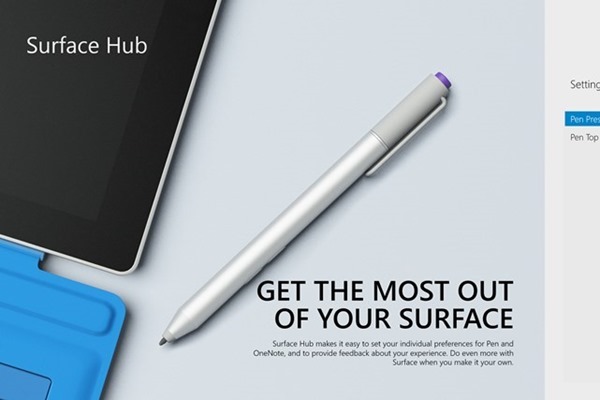 To try and assuage concerns about its tablet’s pen, Microsoft has released a Surface Hub app that it hopes will improve the functionality of the Surface Pro 3’s stylus in conjunction with a pen firmware update that arrived last week. 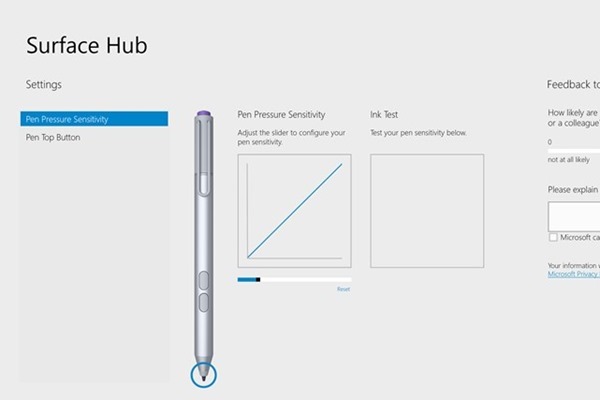 Basic in its appearance, the new Surface Hub app allows users to customize two different options, one offering custom pressure sensitivity and the other control over button functions. 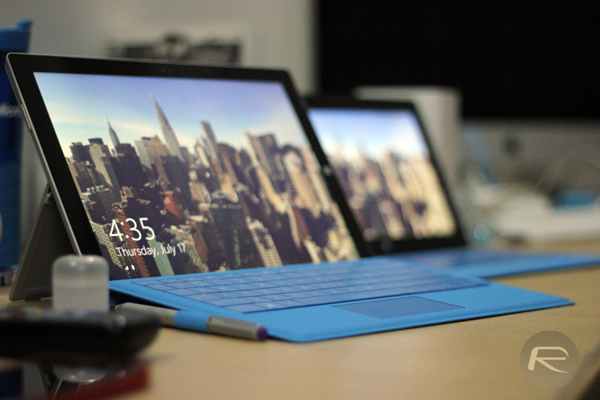 The sensitivity angle is one that will interest anyone who wants to write or draw with their Surface Pro 3’s stylus, but while it will allow those who want more sensitivity to ramp that setting right up, those who want to go the other way may be left disappointed after some users complained that the new app just doesn’t allow sensitivity to be set far enough south to be truly useful for them. You just can’t please everyone. If you thought the pressure sensitivity control was basic, you’re going to cringe when you find out what Microsoft thinks constitutes customization of the pen’s top button. Using the new Surface Hub app, users can tell that button to either open the OneNote desktop or OneNote Windows 8 modern app. As disappointing as it will be for some though, there’s no doubting that Microsoft’s move to at least launch Surface Hub should be applauded, even if it does fall somewhat wide of the mark. You can download Surface Hub from Windows Store.